Anneliese and Erika. (Source:deviantart.com). 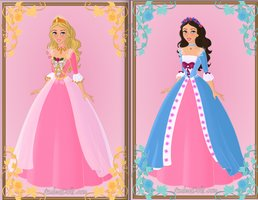 Wallpaper and background images in the películas de barbie club tagged: barbie p&p anneliese and erika..
palabra clave: barbie, p&p, anneliese, and, erika. Thank you 44arumem and jfren43!